I am a huge email marketing fan. There, I said it. You know my agenda: use an email sales funnel. Rather than tell you why, check out the hand infographic. Then, if you don’t have an email service provider, read on for my honest ActiveCampaign review. I have personally used ActiveCampaign for two years, having switched over from MailChimp. But I’ve been doing email marketing automation much longer than that and have used a range of tools with my corporate clients. Email marketing is a must-have tactic in your marketing suite. 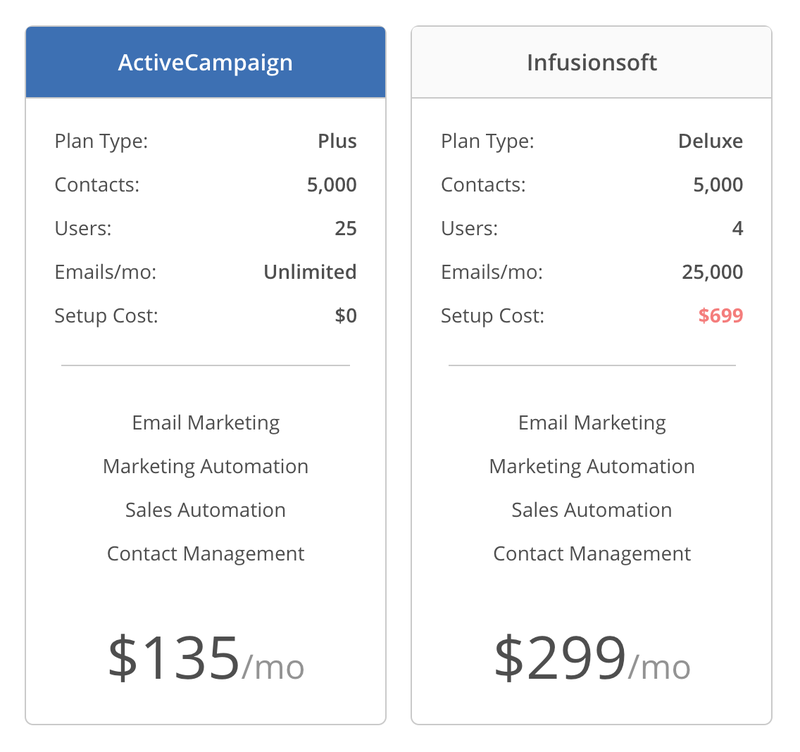 The reason I like ActiveCampaign marketing automation is because for the price, I find it an extremely powerful tool. I’m a solopreneur. I simply do not need something like InfusionSoft or Ontraport for my email sales funnel at this point in my business. Maybe some day, but not right now. What a solopreneur needs is a way to segment audience lists, set up automations based on trigger events and goals, and monitor engagement. All of this makes your job so much easier! Yes, it can take some time and thought to set these things up, but once done they save you hours and hours of time. Most important, ActiveCampaign’s tagging capability and automation sequences are amazing. I can segment my audience based on anything I can imagine. That means I can send personal campaigns based on how someone got on my list, what they’ve opened, what they tell me about themselves, and anything in particular they’ve expressed interest in. I love it! Of course, to use email marketing you have to build an email list. Continuously building email opt in email lists, and then nurturing that list, ensures you have a consistent group of people who are interested in your products and services. ActiveCampaign makes list building easy. You can create custom forms for every list or segment. You can then automatically add tags as people come in to the list… all without ever manually doing it. Time saver! I use LeadPages for my landing pages, and it integrates seamlessly with that tool. I’m also able to use Zapier to integrate with things like my scheduling tool (Acuity Scheduling). These integrations make building an email list simple. All I have to do is create a great lead magnet, and my tools take care of the rest. This website you’re on right now is a WordPress site. I have an ActiveCampaign plug-in installed that makes it simple to connect forms to any page I want. This site is all about bringing viewers like you onto my list. ActiveCampaign is about mid-range. I got a great piece of advice once: buy the tool you need, even if it feels more expensive. At the time, I was using the Free version of MailChimp, which had it’s benefits (I actually think it’s a good starter tool). However, I knew that for the kinds of email sales funnels I wanted to do, MailChimp was not going to work well. So I bit the bullet and moved to ActiveCampaign. I have been thrilled with that decision ever since. 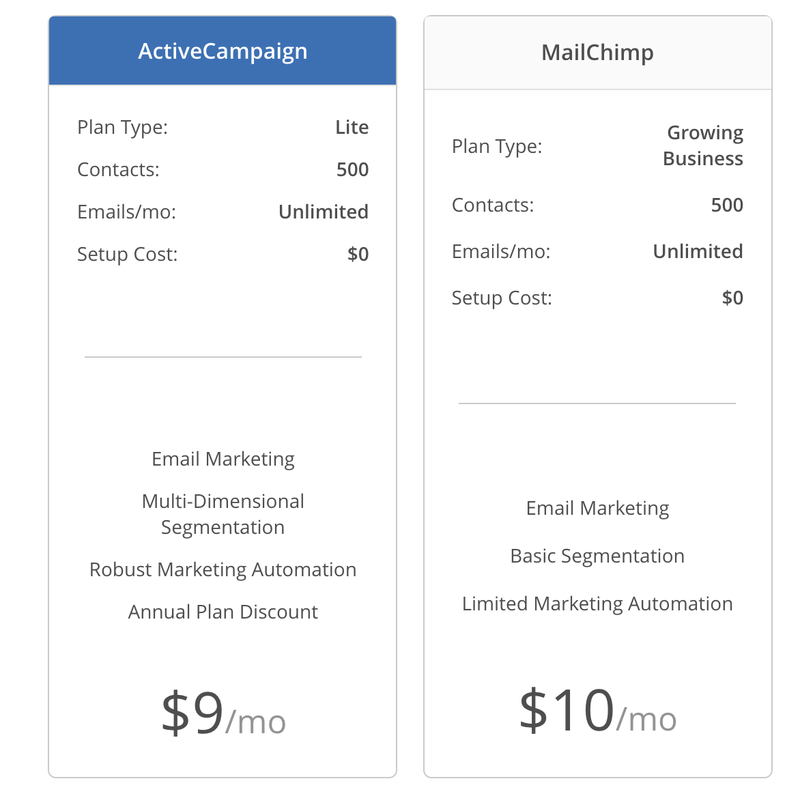 I also found out that the Lite version of ActiveCampaign is a $1 less a month than MailChimp. Totally worth it in my opinion. And, ActiveCampaign has a referral program. That means if you click this link (get ActiveCampaign), I’ll get a small commission. Nice, right? But that’s not why I recommend this wonderful tool. I recommend it because it makes my life easier. I ❤️ ActiveCampaign.